See what the judges are talking about for yourself! 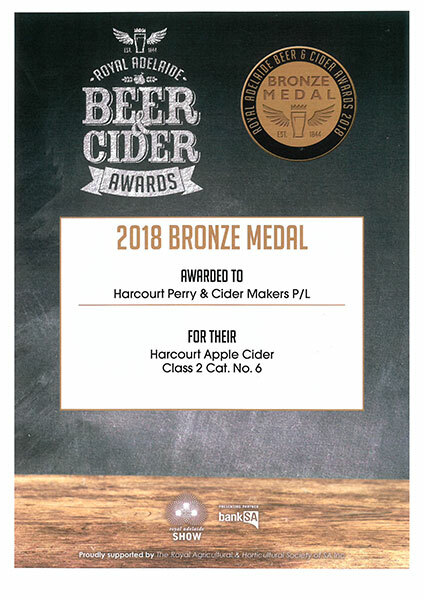 Get your taste of Harcourt Perry & Cider today!!! Real Australian Fruit, no concentrates or added sugar. All of this started in 1991 when Simon and Victoria Frost opened The Little Red Apple, a road side shop in Barkers Creek, Central Victoria, selling Locally Grown fruit and veg with a focus on Locally Grown Apples and Pears. 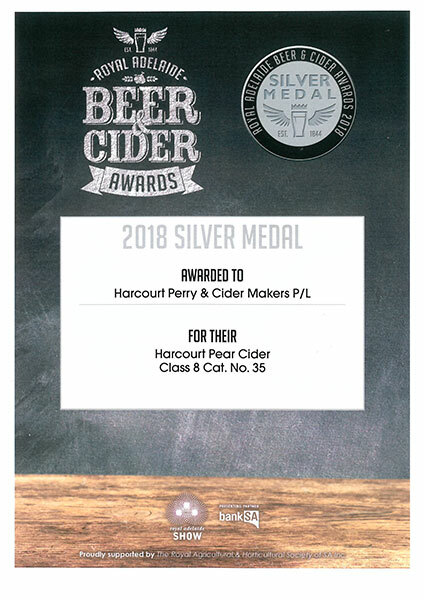 At about the same time Neil & Leanne Norris started White Gum Apples which manufactures Harcourt Apple Juice and Harcourt Pear Juice, 100% Pure Fresh Juices manufactured from Local Fruit. 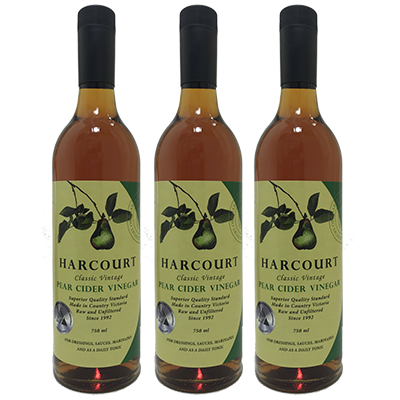 In the late 90’s Simon and Victoria purchased White Gum Apples adding the Vinegars to their range of products and building a new Production Facility. 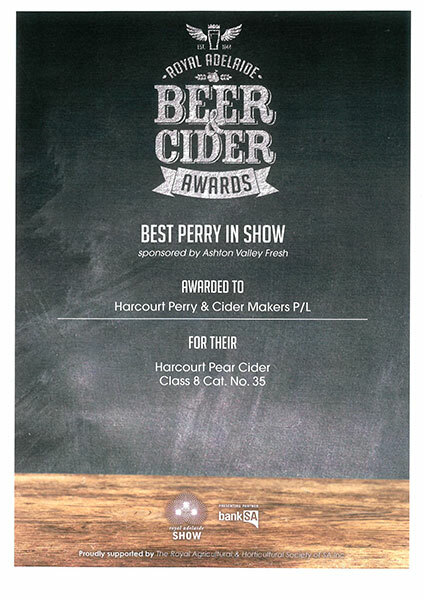 In 2013 Harcourt Perry & Cider Makers was born in conjunction with Adam Marks and Drew Henry. 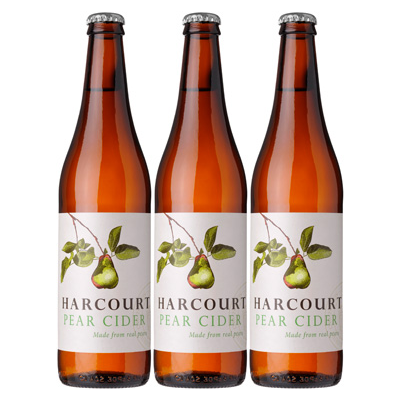 Harcourt Apple Cider, Pear Cider and Harcourt Sparkling Apple Juice were launched with huge success. 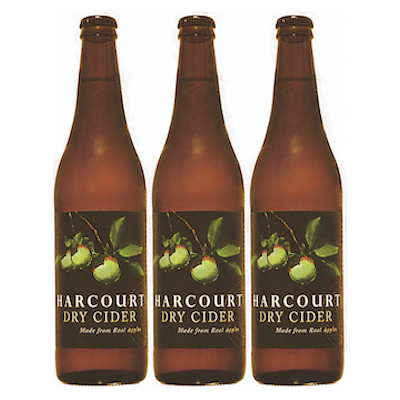 Since then Simon and Victoria have continued to grow the business adding the Harcourt Dry Cider to their range, Building a new Factory and expanding distribution. 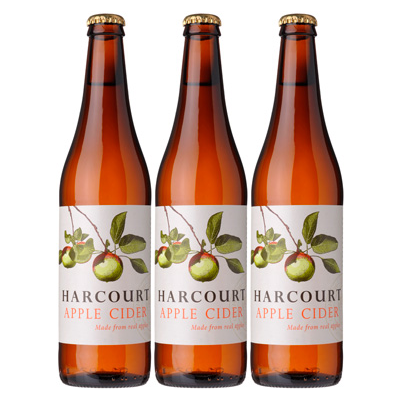 For over 150 years Harcourt has been producing exceptional Apples and Pears, grown in Granite soils, in a climate that produces some of the best fruit in Australia. 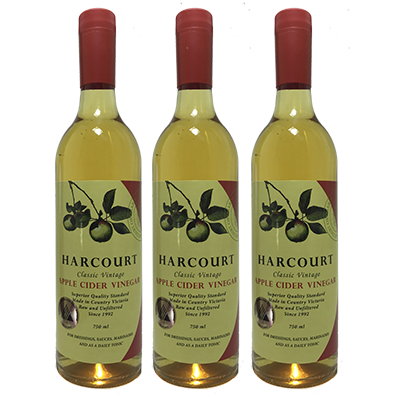 We are proud to say that all our products are produced from Real Australian Apples and Pears grown in Harcourt and surrounding areas. The Little Red Apple is our outlet store and provider of fresh quality produce. The full range of our products are available so please feel free to drop in. Only quality 100% Australian Grown Real Fruit! No concentrates or added sugar! No compromises on quality, treat the fruit gently, old fashioned Cold Pressing, minimal intervention! No pasteurisation, minimal use of preservatives, if any!